Industrialists and traders in the Khyber Pakhtunkhwa, terming the federal budget as jugglery of words, have rejected it for having no package for the revival of the militancy-hit industrial sector in the province. Industrialists had hoped the federal government would come to the rescue of sick industrial units in Khyber Pakhtunkhwa by announcing province-specific incentives and package, expanding the duration of the relief package and suggesting several mega hydel-power generation projects. They were disappointed. The only thing they welcomed in the budget was the lowering of sales tax rate from 17 to 16 percent which, according to them, would decrease inflation a bit. The budget, according to them, had no long-term plan and, therefore, lacked the potential to ensure a robust economic and industrial growth. 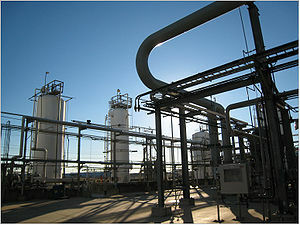 The industrial sector in Khyber Pakhtunkhwa, mainly comprising the marble, furniture, pharmaceutical, match and cigarette and hospitality industries, has been badly affected by high power/gas tariffs, load-shedding, low voltage, insecurity and insufficient infrastructure besides long distance from seaport which increases cost of production and makes them less competitive. Factories working in the iron, marble and furniture need latest training for capacity-building of their workers and machinery, marketing, and technical support from the government. The budget failed to provide any workable plan and programme for these problems. Industries should have been given incentives such as discount in power and gas tariff, rescheduling of loans for two years, or suspension of mark-up thereon, rebate in other taxes and duties, and halting of audit of businesses and industries for two years. New investors should have been given tax exemption for a few years and relief in duties on import of machinery. All these issues have been neglected in the budget. Soft loans, preferably interest-free ones, and separate industrial estates with modern machinery pool and common facility centres for different clusters and value addition, especially the mineral and furniture, are some steps that should have been taken. Sharafat Ali Mubarak, president Markazi Tanzeem-e-Tajiran Khyber Pakhtunkhwa and former president of KPCCI, says prolonged power/gas load-shedding and terrorism have not only scared new investors away but also forced existing industrialists not to expand their businesses and many have shifted to other provinces. “The extent of the damage to industrial sector in the province could be judged from the fact that off the 2200-plus total units working here, only 572 are functional these days and the number of industrial labour has decreased from around 200,000 in 1996 to a dismal 20000-plus these days,” he says. “A couple of years ago Prime Minister Yousaf Raza Gilani had declared the province a war-hit zone and announced a relief package for industries but it, unfortunately, was not implemented in a letter and spirit. Bureaucracy continues to create hurdles in its implementation. For example, we had been exempted form general sales tax on electricity but it is being collected in the bills in clear violation of relief package. Industrialists and traders waited for another package or extension of the earlier one for a few more years but there is no roadmap for the revival of sick industrial sector in the province,” he complains. “The problem of power-shortage, that has been afflicting the sector for quite some time, has been ignored once again and no emergency plan and mega projects have been suggested for the purpose. The target could be easily achieved by public-private partnership schemes in the sector,” Mubarak adds. “Khyber Pakhtunkhwa produces about 4200 mega watt of electricity from Tarbela dam alone and its peak consumption is around 2300MW but it is subjected to 12 hours of loadshedding. Similarly, 341 million cubic feet (MCF) gas is produced here while its total requirement is 227 MCF. If Punjab is not ready to supply its wheat to other provinces unless its own wheat needs are met first, we have also right to demand non-stop and cheaper supply of gas and power before others,” he argues. Usman Bashir Bilour, president of Khyber Pakhtunkhwa Chamber of Commerce and Industry (KPCCI), says that being adversely affected, the industrial sector in the province deserves a comprehensive package or at least, the package announced by the prime minister should be extended for another two years. “The State Bank reports that industrial growth rate has been as dismal as 0.01 percent this year. The government should ascertain why most of the industries are closing one after the other. We have sent to the government a detailed strategy paper for the revival of industries but no one has bothered to contact us so far. We need to sit together to chalk out a 10-15 years’ plan for revival of industries in the province,” he says. According to him, their businesses are ruined and the government is contemplating the imposition of reform general sales tax. “We would never tolerate it as it would increase inflation and overburden the people. The government had announced it will expand direct taxation base but it has once again reneged on this commitment. Special relief orders are regularly announced that exempt certain industries from taxes while other industries are subjected to additional tax burdens intermittently. This should be avoided and all those who earn money be brought into the tax net — there should be minimum tax but maximum taxpayers,” Bilour says. “Credit is the basic requirement of industrialists but it has been made difficult for us as all leading banks have shifted their head offices to Islamabad. One will have to travel hundreds of kilometres to get a loan of even Rs10 million. How can we modernise our industries in this backdrop,” he asks. Khyber Pakhtunkhwa is rich in oil and gas reserves. Official estimates suggest it has one billion barrel oil and four trillion cubic feet gas reserves, which, if utilised, will meet energy requirements of industries for a long time and give fillip to provincial and national economy. Marble reservoirs in the province are estimated to be at four billion tons found in 30 varieties in the province. But most of the 2000 marble factories in the province and tribal belt, besides the factors cited above, suffer from use of outdated techniques, inconsistent supplies of raw material, lack of proper infrastructure, absence of value addition and of public-private cooperation. Khyber Pakhtunkhwa is an ideal place for summer and winter tourism, adventure tourism, eco-tourism, culture/heritage tourism, spiritual tourism and sports and commercial tourism. This sector also needs hefty funds and public-private coordination to build tourism infrastructure and strong media campaign to attract tourists but no such thing has been announced despite promises in the 2009 tourism policy draft.